THE BUNNIES ARE BACK, and MUCH MORE! We are always thrilled to be a part of your Easter meal traditions. We'll do the baking again this year, so you can enjoy more time with loved ones! 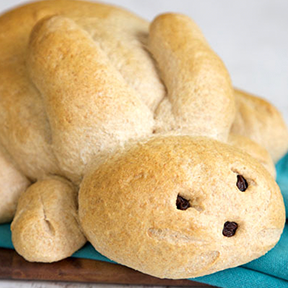 Here's what we're baking fresh for you this Easter! 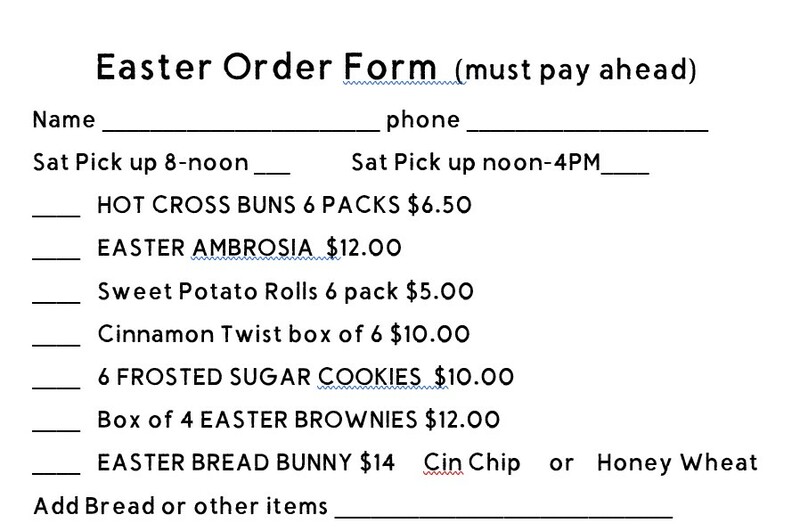 Please order by April 17th to ensure we bake enough for your celebration! Our Honey Bunnies are sweet, adorable and multiplying by the minute! We're baking up lots of these cuties. They feature awesome ingredients like freshly milled whole grain flour and natural honey. Perfect for a table centerpiece, a lovely gift for a hostess or friend, or tucked into a child's Easter basket! 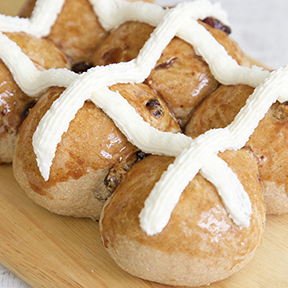 Share some Hot Cross Buns this Easter! Traditional rolls filled with raisins, cranberries, cinnamon, and nutmeg crossed with a sweet icing. 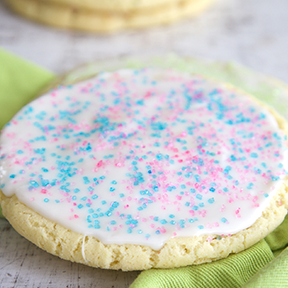 We'll also be baking our handcrafted, decorated Sugar Cookies for Easter! The perfect ending to your Easter meal. And try our our Ham & Brie Sandwich special this month. 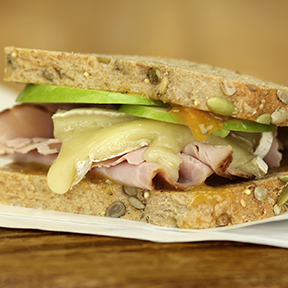 Slices of smoked ham paired with warm brie, crisp green apple, cracked black pepper, and an apricot Dijon honey spread. Made fresh every day!